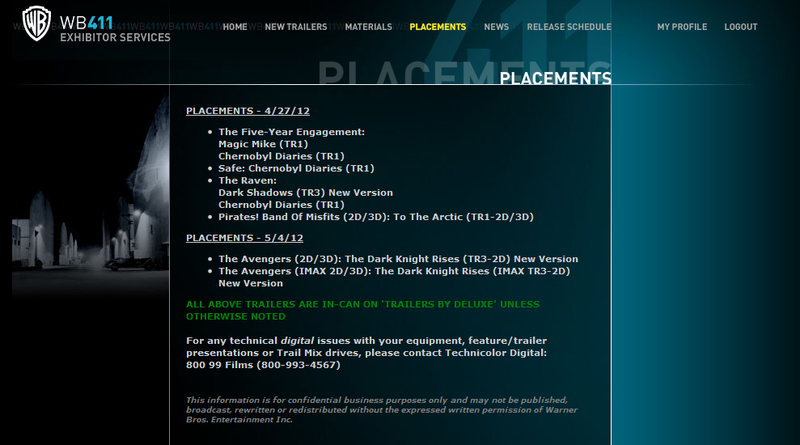 According to the WB Exhibitor site, the third trailer for The Dark Knight Rises will be attached to Marvel’s The Avengers on May 4th. Both 2D and 3D conventional showings of The Avengers (as well as 2D and 3D IMAX showings!) will be playing the trailer. This isn’t the first time WB has placed a beloved DC Comics trailer in front of a Marvel movie. Back in 2008, the third trailer for The Dark Knight played before showings of Iron Man. And in 2010, the final trailer for Nolan’s Inception played in front of Iron Man 2. So… who plans to see The Avengers opening weekend? Did this news affect your decision? Comment below! And thanks to jake088800 and Vader182 in the forums for the heads-up!